I did an initial review of my impressions of chapter one of Life is Strange HERE. Most of those thoughts hold true for the rest of the game, so if you want an entirely spoiler-free introduction, I recommend reading that instead. I’m going to start this review with an admission: I don’t finish the majority of games that I start. Many of them, I just don’t connect with, meaning I lose interest; others advance in difficulty too quickly, and if there isn’t a way to strengthen my characters, I tend to give up (I hate replaying things – dying repeatedly puts me off fast). All of this preamble, then, is essentially a way to explain how much I enjoyed Life is Strange. Not only did I play it through from start to finish, but I actually went back and got 100% of the achievements in Steam. The initial, rather shallow, appeal, is that Life is Strange is a gloriously pretty game, full of autumnal hues, in a painterly style that doesn’t rely on high-end graphics. It’s atmospheric and immersive, helped along by everything from the indie rock soundtrack to the convincing teenage dialogue. 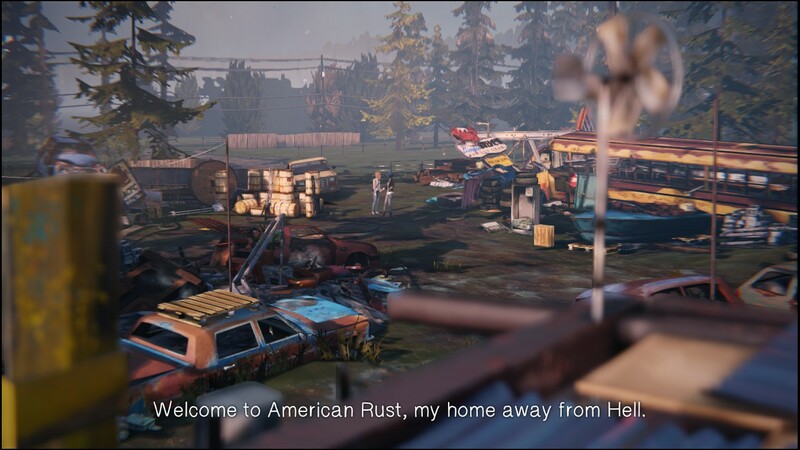 I really believed these were a town and a school that could exist, and I think that’s key to Life is Strange’s success; believing in the places and characters, and in your effect on them, is important if you’re going to care about your choices. So, what about those characters? One of my favourite aspects of the game was Max’s progression. In the early chapters, she’s somewhat immature, and perhaps a little bit whiny. By the end, however, Max has really been changed by her experiences – she’s grown in confidence, she’s far better able to express her feelings to others, and I was particularly impressed with her empathy, even to those she initially dislikes. Max understands the people around her – or if she doesn’t, she learns – and there are some lovely moments when it feels like her encouragement might really change someone’s life. Our second key character is Chloe, whom its fair to say the entire plot revolves around. I have to admit to having mixed feelings about Chloe, who tends towards self-pity and demanding passive-aggressiveness. Whilst there’s an element of Chloe’s past that makes this understandable, her life isn’t as bad as she repeatedly makes out; she is, as Max herself points out, ‘petulant’. Having said that, it’s hard not to warm to Chloe as the story goes along; she’s daring and carefree, and tends to say what everyone else is thinking. 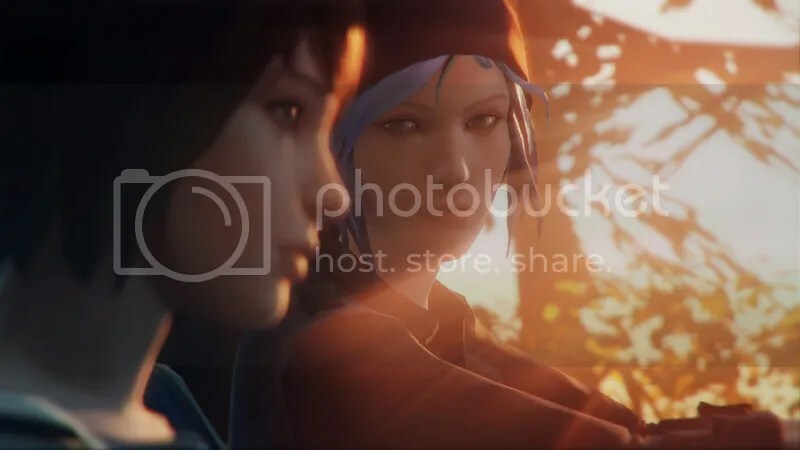 It’s the relationship between Max and Chloe that forms the centre of Life is Strange, and that’s another of the game’s strengths. How many games, quite honestly, give such attention to a friendship between two women – and, not only that, but do it so well? The game never neglects its secondary characters, either, and there are times when some feel almost painfully real. If you’ve ever been the geeky teenage outcast like Max, you’re bound to have known a Victoria, for example. Without its emotional core, it’s fair to say the quandaries Life is Strange presents you with wouldn’t work half as well. This is a game which presents itself as being all about choice, and whilst Max’s ‘time travel’ ability allows you to see a number of different outcomes, very few of her choices can be described as either good or easy. In fact, some of the choices are truly gut-wrenching, and other parts of the story even more so (some of the bits that happen no matter your choices are, arguably, also the strongest). The game got so intense at one point that I actually had to abandon it for a few weeks before I could continue, which is a mark of just how strongly I engaged with the characters (having once been a teen girl myself probably helped!). It’s when we get to the choice mechanic, though, that there are a few issues with the game. The first is a technical one, really, as I had some problems with consistency in the early chapters. In conversations with some of the characters – particularly Joyce and Kate – I found their emotions wildly fluctuating because of choices I’d made (and forgotten) in the past. This is, I suppose, one of the complexities of creating a game like this; if the player makes inconsistent choices, the story itself can become inconsistent, leading in this case to conversations that flowed badly. There’s another issue with the matter of choice, too. Earlier, I said Life is Strange is a game which presents itself as being about choice. For a long time, that remains true – until we get to the final chapter. Ultimately, the game narrows down to two very stark choices, and whilst these determine which ending you get, they seem completely disconnected from all the choices that have come before. I can understand why so many players were frustrated by this outcome, because everything you’ve previously done becomes meaningless. However, whilst plenty of our choices in real life are equally meaningless, I don’t think that’s the point Life is Strange is making. For Max to make that final decision, she has to have lived through everything that’s come before – has to, essentially, have grown up. Despite the possible paradoxes the ending creates (which I’m not going to go into here), it wouldn’t have either the emotional weight or the same meaning without the rest of the story to back it up. There’s so much more I could add about this game, but there’s really only one thing I want to say in conclusion: if you’re interested in games with a strong story, about female characters, rich in atmosphere and emotion and choice, I can’t recommend Life is Strange highly enough. It’s one of the strongest games I’ve played in a long time – although I can’t guarantee you won’t be an emotional wreck afterwards! 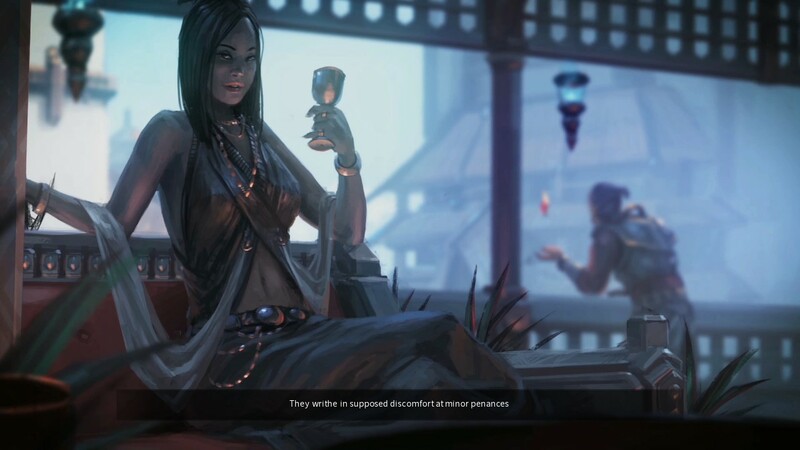 It’s fair to say that Dreamfall Chapters is the one game that’s truly captured my imagination over the past year. 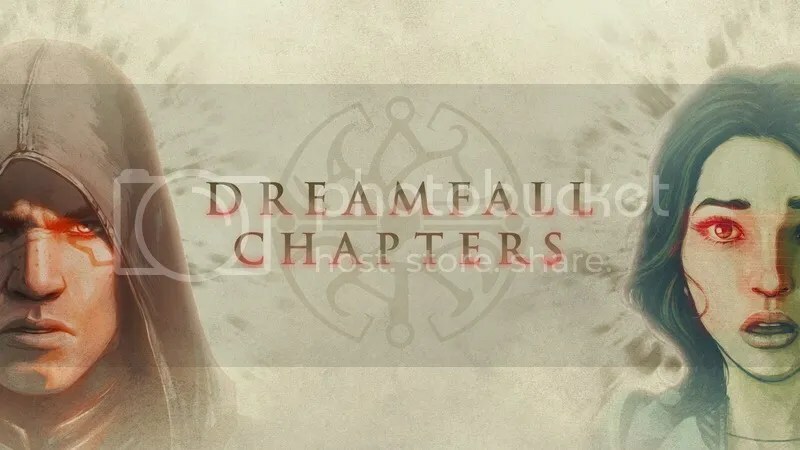 Other titles have come and gone, played for a few hours and then abandoned, but I’ve eagerly anticipated each new Dreamfall installment, and apart from waiting for the occasional bug to be fixed, I’ve played them soon after release. 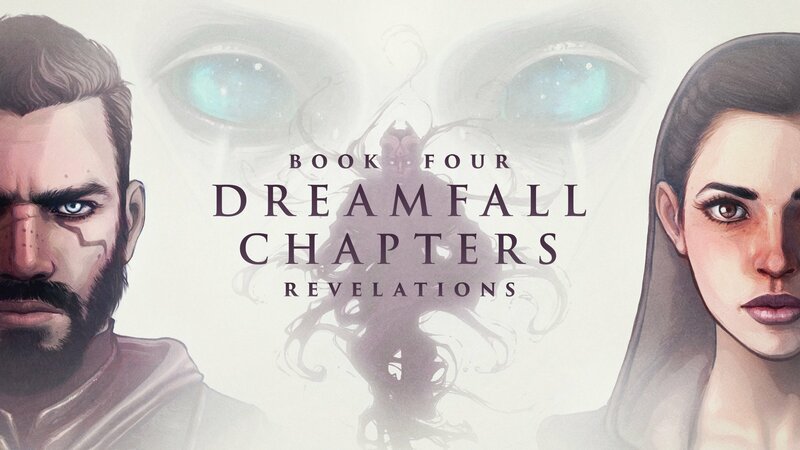 Most recently, that’s been Book Four: Revelations, the penultimate episode in the series. It also, to my mind, felt like one of the shortest, though I’m not entirely sure that’s down to actual gameplay time. Instead, Revelations crams in so much meaningful story that it fairly flies by, each new scene revealing some new facet of plot or the ever-expanding – and ever more extraordinary – world of Arcadia. And what a world that is. 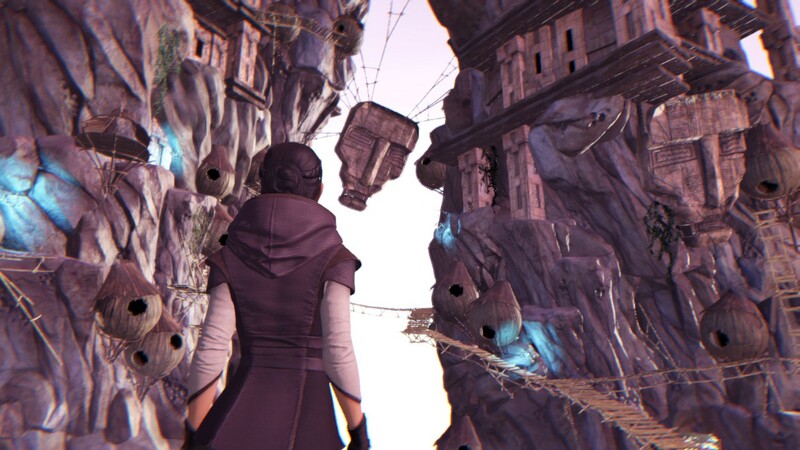 Arcadia is the fantasy side of Dreamfall’s two worlds, and it’s the setting for the majority of Revelations. Whilst I’m rather partial to the cyberpunk Stark, in which most of Zoe’s time is spent, this new version of Arcadia is delightfully fit to bursting with the fantasy exuberance of the first game in the series, The Longest Journey. Not only that, but Revelations does an excellent job of incorporating the more mythic side of the genre, with some clever use of far older stories to complement the fantasy elements unique to this game. It’s no accident that I bring up The Longest Journey, either. Accompanying some extraordinary new locations, which look absolutely stunning (and better than ever, given the whole game recently upgraded to a newer Unity engine), are a number of old faces – and old voices – whose return will be welcome for long-time players, and perhaps provide an incentive for new ones to seek out the rest of the series. As ever, those beautiful visuals are paired with some excellent, and frequently quite atmospheric, music. Dreamfall is nothing without its story, though. Revelations continues the strong voice-acting of the previous books and, if anything, increases both the quantity and quality of the dialogue. Of course, it helps that most players will by now have developed something of an affinity for the characters, making their choices more meaningful than ever before. It’s difficult for me to pick out too many negatives in Revelations, which is a strong continuation of the Dreamfall Chapters series. It is, perhaps, a bit lacking in puzzles for the accomplished adventure gamer (I’ve seen the term ‘walking simulator’ bandied about in regards to the game, and that’s a fair criticism at times), and whilst there are some brutal turns of event in the plot, some of them happen far too quickly. It’s difficult, too, for the player to know exactly how their choices have shaped events, which has been my one long-running gripe with the game as a whole, when player choice is supposedly such a key part of the experience. Overall, though, there’s very little for me to complain about here. 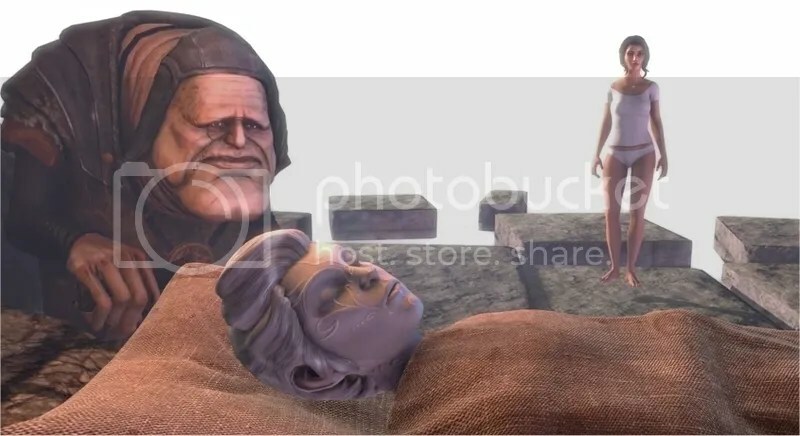 As someone who’s played both The Longest Journey and the first Dreamfall game, Revelations was an absolute pleasure, expanding the world and characters in beautiful, and sometimes surprising, ways. It’s hard for me to remember a game I’ve been so immersed in for a very long time – though how the next and final book can wrap everything up is anyone’s guess! I have never played a 4X game before (nope not even a Civ game) but I have wanted to for ages. Civ has been on my Steam Wishlist for a long time, but for some reason I never even played one of the older ones. 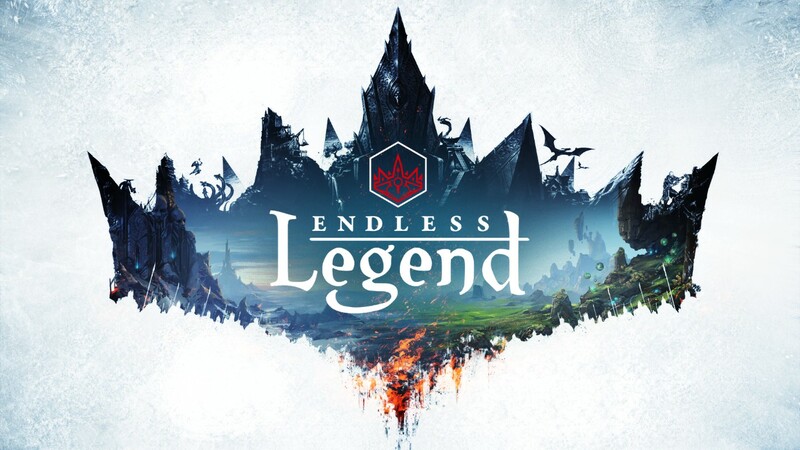 That aside, I really liked the look of Endless Legend, and preferring the fantasy setting I thought I should give it a go, especially when they had a free weekend. So, with my free weekend version underway, I immediately loved it. The artwork alone instantly had me grabbed. After I had unknowingly lost a few hours playing, I decided I should just buy it. Doing the tutorial was essential to my play: there are a lot of factors to keep track of, and having never played a game of this type before I was quite overwhelmed. That being said, even after nearly 30 hours of play time I still don’t think I quite have a full grasp of all the elements of the gameplay and possible tactics. 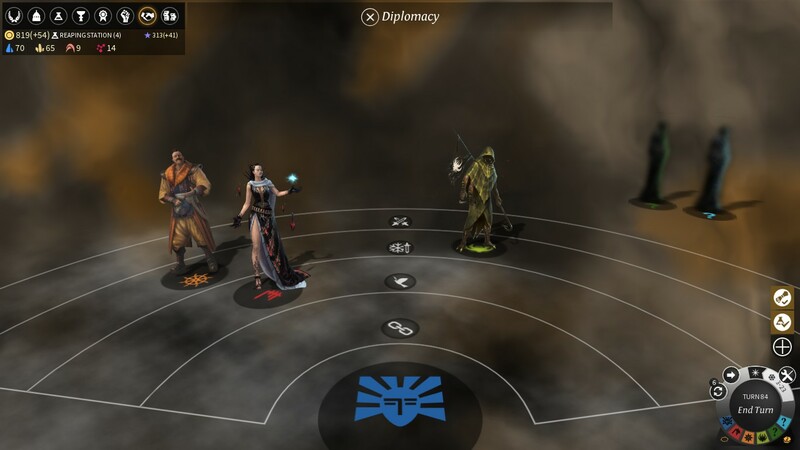 There are a number of factions and on top of that there are a number of ways to win, which makes each play very different. Each faction has its own intro cutscene and its own story to follow – one victory condition is to follow the story to its end, which was quite enjoyable, especially the faction specific ones that I have done. So there is a lot of replayability; even if you just want to wipe out your opposition, there are still advantages to doing some story, as it can reward some good equipment for the heroes. I really enjoyed the combat parts of the game: positioning troops and making sure I had the right troops attack the right enemy felt like a very simplified and small game of Warhammer. But if you don’t like the combat parts, you can let your troops do as they want and auto-play it. You can’t win a fight that you are outmatched in like this, though. My favourite faction to play so far has been the cultists, but that is perhaps because I found them very easy and only having one city to manage made things much simpler. All of the different factions have different play-styles and different bonuses/handicaps, so it shouldn’t be hard to find one that suits you. 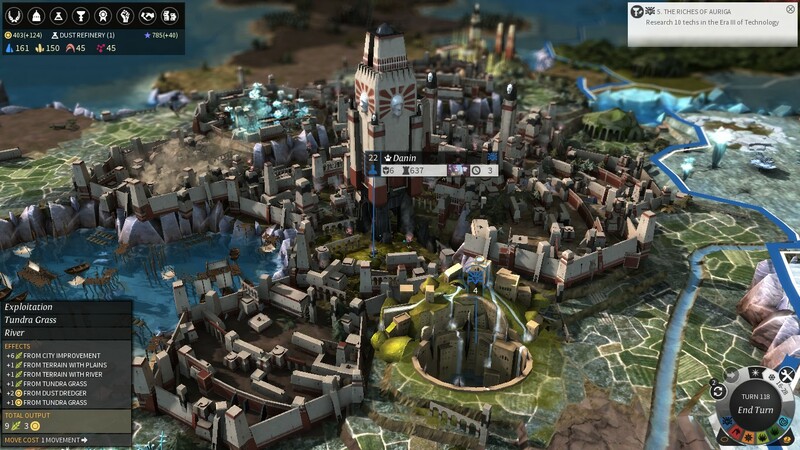 On top of that, the graphics are good, with a very functional UI that doesn’t have any unnecessary clutter. All the unit types are distinguishable at a reasonable distance zoomed out. The only problem I sometimes had was finding troops or heroes when zoomed out a long way, and working out who I had selected. Overall, this is a great game with a moderate learning curve, and was great for my first foray into the 4X game genre. Before starting this review, I looked back at my notes on book one of Dreamfall Chapters and actually rather surprised myself. For a game I remember enjoying, after all, I was incredibly critical – and whilst I stand by my original review, this is the point where I take a big sigh of relief. The reason? Rebels, book two of Dreamfall Chapters, is actually rather brilliant, and I get to be a lot less negative this time round. Rebels continues the stories of Zoe Castillo and Kian Alvane, in the twin worlds of Stark and Arcadia. We start from Kian’s perspective, with what feels like a fairly slow, muted opening to ease the player back into the world, quickly giving way to the sort of puzzles and quests that any seasoned adventure gamer will be instantly familiar with. That might be a bit off-putting for new players who’ve come to Chapters for its story instead, but thankfully, that slow start is made compelling by a host of new characters, the recurrence of some old ones, and a much expanded look at the wider city of Marcuria. And what a city it is. Chapters continues its beautiful, immersive and inventive world-building, really showing off both its atmospheric environments and its fluid character movement. Gone are the bugs (mostly minor, admittedly) that annoyed me from the first chapter, to be replaced by smooth gameplay that never distracts from the story. It’s the story of Rebels that really captured my attention here. Book one struggled a little, as it tried to introduce the characters and worlds and gameplay all at the same time, devolving at one point into a stream of fetch-quests for Zoe. Book two does a much better job of making the actions of the characters meaningful, whilst throwing in politics galore and some intriguing plot developments in both worlds. Zoe’s narrative in particular is very engaging, as her past, politics and personal life start to collide in subtle, far-reaching ways, whilst the landscape of Europolis is becoming an increasingly sinister, dystopian place. Kian’s plot, admittedly, is slightly less engaging, though that might be down to personal preference where the two characters are concerned. There’s a hint more cliché to his story, perhaps because I’m so familiar with fantasy in other mediums, whilst the inclusion of a new ‘mystery woman’, with whom Kian can even choose to share a kiss, had me rolling my eyes a bit. However, the decisions the player makes as both Kian and Zoe are equally difficult, and as you can’t please everyone, some of them really sting. It’s those choices that form the core of the game, of course, and it’s here that Dreamfall Chapters falters a little once again. For a start, the reminder that ‘choices have consequences’ is a bit heavy-handed, as in book one – multiple secondary characters bring it up in a way that feels out-of-place in otherwise strong dialogue. More importantly, though, Rebels again fails to make clear exactly how player choices are affecting the story. I know what I’ve chosen, but which choices have caused which outcomes, both in book one and book two? No idea. Still, if you can get past that, there’s so much to love here. Both characters and worlds get a better chance to breath in this second instalment, whilst the book-like structure of the game – darting between character points-of-view – works incredibly well. The biggest compliment I can give Rebels – and my biggest frustration, incidentally – is that it just wasn’t long enough. I’d read estimates of book two taking 10-12 hours to play, and maybe I’ve just got too much experience with adventure game puzzles, but my play-time was more like 7 hours. Book two also ends with a definite cliffhanger, something avoided in book one. 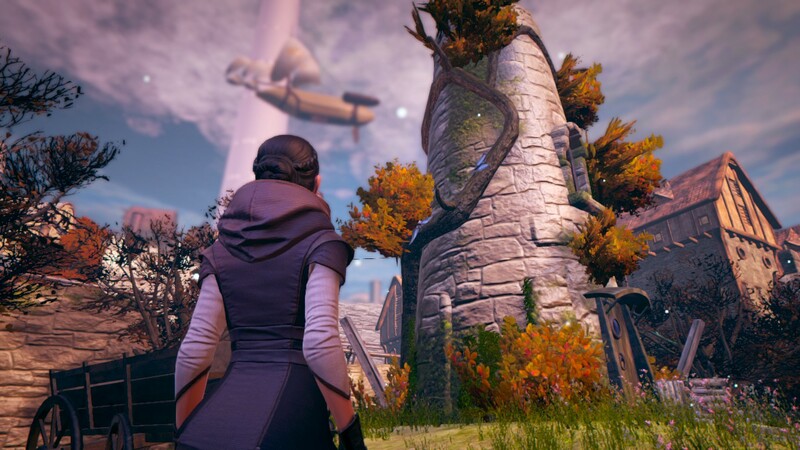 I don’t, in general, find that cliffhangers work for me – I tend to divert my attention elsewhere at the end of a book or TV programme whether there’s been one or not – but in Dreamfall Chapters’ case, my frustrations are of a different sort. The ending left me feeling genuinely bereft: I want to spend more time in these worlds, with these characters, and experiencing all the twists-and-turns of their lives, which means book three can’t come soon enough! There seems to have been an ever-increasing number of choose-your-own-adventure, story-driven games on the market in recent years. 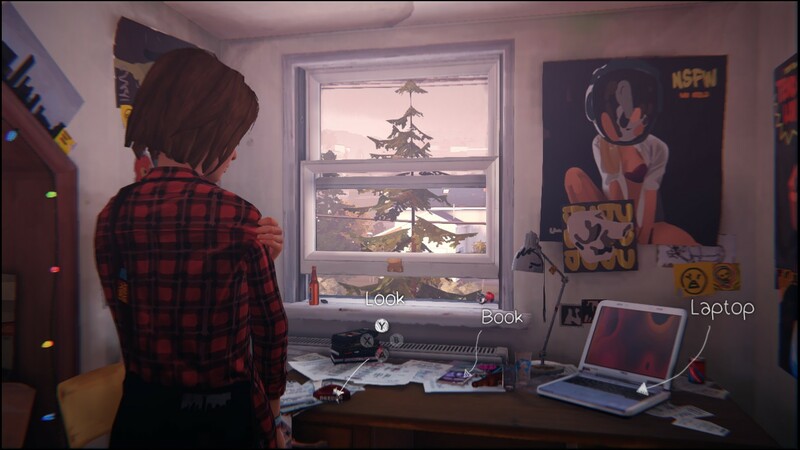 Telltale are the big player in this arena, of course, but in the last couple of months, two new entries have arrived: first, Dreamfall Chapters, and now Life is Strange. 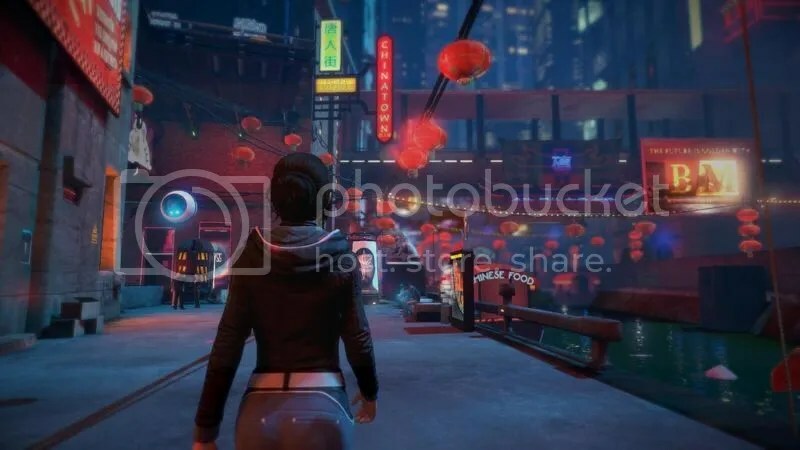 Both feel, in many ways, like an updated version of older adventures games (certainly in the Dreamfall example), but refresh the genre with more cinematic gameplay and a wide array of story-influencing choices for the player to make. 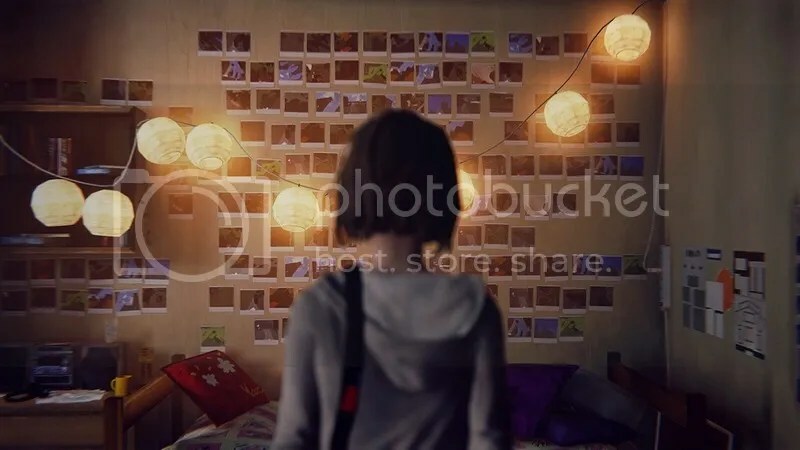 Life is Strange, in this first chapter, begins with our teen protagonist Max (that’s a female Max, if you were in any doubt from the pictures), who’s returned to her hometown to take part in a prestigious photography course. For my part, at least, it was a setting that didn’t immediately excite: how many depictions of American (or perhaps, in this case, Canadian – I was never really sure) high school life have we seen in books, films, TV and now games? However, it turns out to be a location that’s ripe for character interactions, as misfit Max tries to find her way, whilst getting caught up in a rather more sinister storyline. A couple of things set Life is Strange apart. First, it’s a lovely looking game with an almost painterly art style, everything in muted autumnal colours – an effect that’s strengthened with some great choices of atmospheric music, both instrumental and a few mellow indie rock tracks. The dialogue and acting are all strong, too. The writers of Life is Strange clearly do remember what high school was like (which made me cringe more than once), and their teenagers are all too real, whilst Max’s struggles with what it means to come home and how she treats her friends are heartfelt – although I do hope that Max toughens up in later episodes, as she has a bit of a tendency to mope here. Secondly, it becomes clear early on that Max has the ability to rewind time. This is both an integral part of the story, and an extra tool in the player’s arsenal. Just chosen to tell a lie, but want to know how another character would have reacted if you’d told the truth? Rewind time and try it, before picking your final option. It’s a nice touch for those of us who genuinely worry about how things are going to turn out (I’ll admit, I find choice-based games like this rather stressful! ), although there is a caveat – like a lot of modern games, there’s no ‘right’ answer. You’re not going to get a chance to be ‘good or evil’ here, as every choice has consequences (including a number of smaller choices that I missed on a first playthrough), and you get the feeling none of them are going to be good ones. This first chapter – Chrysalis – is a short one. It took me well under two hours, and I don’t think I would have broken that mark even had I found some of the extra options. Still, there’s so much to like here. It’s a very robust game, with excellent controller support and no noticeable bugs. It’s also very pretty, with a strong story and even stronger characters. There’s set-up in this episode for all sorts of mysteries to come, both large-scale and personal, and it’s impossible not to want to know how Max’s life is going to turn out after the first one. If you enjoy well-told, atmospheric story games with female protagonists and plenty of intrigue, Life is Strange is one you won’t want to miss. 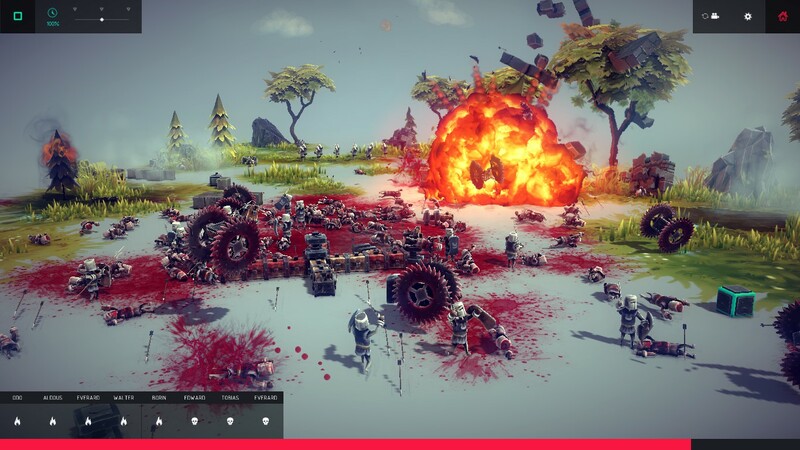 I am one of the few who bought Besiege without having seen anything about it, only the trailer on Steam, and it’s my first ever Early Access buy. And I’m impressed, as it’s tremendous amounts of fun even with the limited number of blocks and options available. The premise is kind of Angry Birds meets Lego: you build something to destroy a castle or slaughter soldiers/sheep, and that’s it, a simple idea. There is a short campaign at present, which is well done with quite a reasonable learning curve – it starts easy, although I admit that I did have quite a bit of trial and error with creations in the later levels. There are no tutorials or even a Help option, which I feel is a mixed blessing but overall is something I approve of. 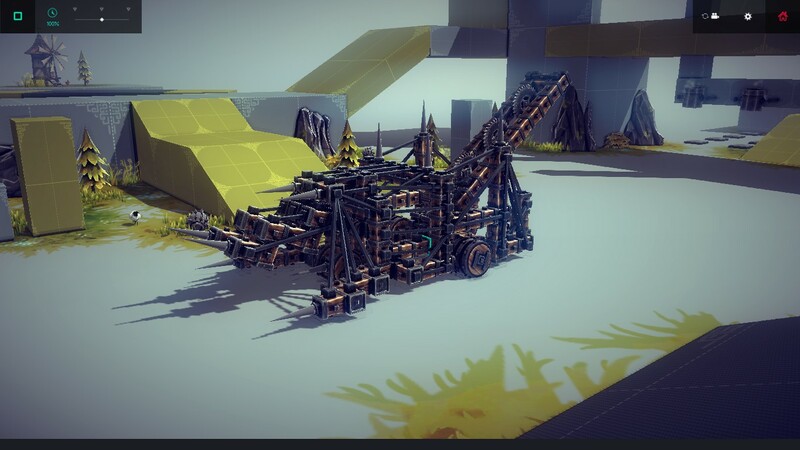 I am still unable to make a decent flying vehicle without a guide, but I will keep trying especially as I have come up with quite a lot of methods for steering wheeled vehicles. The graphics are surprisingly good for a game that is so early in its development, and it has some fantastic-looking fire and explosions. As much fun as I have had with this game, I did need to make a conscious effort to avoid a lot of the hype and creations made by other players – and while at first I thought a Steam workshop option would be good, I have since changed my mind as I think people would simply download other peoples’ creations and miss the point of making their own. That said, I have great hopes for this game and there a lot of things I would like to see added eventually. 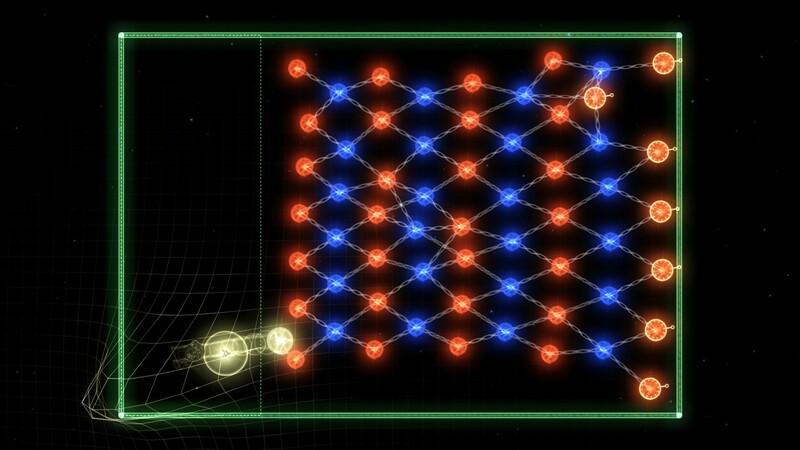 The top two of these would be Diagonal Blocks, followed by a Robot Wars-style multiplayer, possibly with a more limited space than is currently available on the levels, or maybe with a limited number of blocks per ‘Robot’. I even tried to make Matilda from Robot Wars. It works too (sort of). Overall, I thoroughly recommend this game and it’s well worth the current asking price of £4.99, especially as early buyers will get updates as they come. I am going to start by saying I love this game and I don’t think I have even scratched the surface. 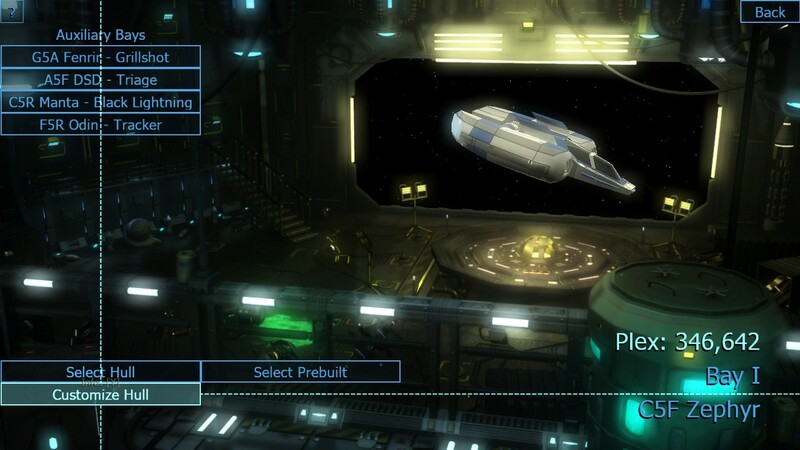 It’s a top down 2.5D space shooter which kind of plays a bit like the old Asteroids game for the majority, but it’s so much deeper than that with RPG elements and a variety of puzzles. The game’s graphics are a lot better than I was expecting. Screenshots really don’t do RR any favours as they often look very cluttered and you can’t see what is happening, but playing the game is very different and it all seems to make sense; most of the time I could keep track unless it got very flashy on-screen. There is a good variety in the environments, from space cities to asteroid fields, along with varying and pretty backgrounds of planets and stars. The music could easily have come across as a tacked on afterthought but I am pleased to say that it didn’t and was in fact great. Catchy and relevant, the music felt like another well thought out part of the universe. The game play is fun and relatively easy to get to grips with the basics – as mentioned before I thought it played a bit like the old Asteroids game. Inertia will keep you going, so if you set off in a direction you will usually keep drifting that way, but this can depend on the ship type. 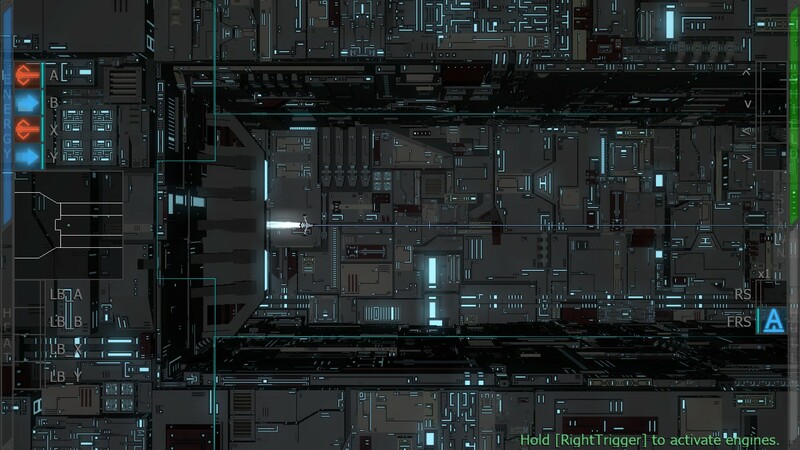 And ships is where the gameplay got really interesting as there are a lot of different ships of varying tiers and strengths, all purchasable and with customisable weapon load-outs. I did feel a bit overwhelmed with the amount of choice at times and more often than not stuck to one or two favourites that I had put together. On top of all that, there are other ‘minigames’ that you do to unlock the more powerful skills; although they are the special skills, they certainly felt well-balanced and never really game-breaking or necessary to win the main game. The story was where RR really shone. At about 20 hours on my first play-through (I am quite likely to play again), it has quite a bit of substance. The plot is good and gets better as you go, although I did find some bits a bit confusing; especially where you get to choose your next destination, I felt like I had missed a conversation (there is a chance I wasn’t paying attention and did miss a bit – will see next time). There is lots of humour and references to pop culture: some ships that looked suspiciously like Firefly, for example. So once again, I’m going to say I loved this game and my only problem with it was the sheer overwhelming amount of ship customisation. At £6.99 on Steam full price, this is a steal. P.S. I am also putting the accompanying book on my ‘to read’ list.